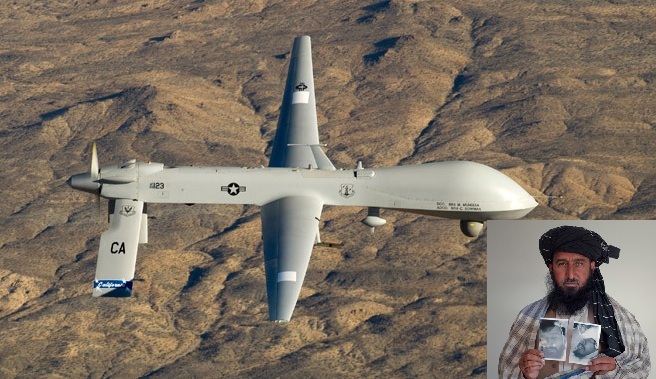 JNN 08 June 2014 Islamabad : A Pakistani High Court has ordered police to charge ex-CIA station chief Jonathan Banks for the murder of civilians in a 2009 drone strike. Prosecutors say he issued ordered the deadly strike and was directly responsible for the deaths. Judge Shaukat Aziz Siddiqui issued the ruling after hearing a petition from drone activist Kareem Khan, whose son and brother were killed in the 2009 strike in the North Waziristan tribal district. “Justice Shaukat Aziz Siddiqui of Islamabad High Court ordered today registration of a criminal case for offenses of murder, conspiracy, waging war against Pakistan and offenses under the provisions of Terrorism Act 1997,” against Banks, a statement by Khan’s lawyers said. Banks’ cover as CIA Pakistan station chief was blown in 2010 after he was named in court papers. As a result he was forced to flee the country. “Today’s order is a victory for all those innocent civilians that have been killed in US-led drone strikes in Pakistan,” said Mirza Shahzad Akbar, lawyer for Khan. He added that the ruling may pave the way for a host of other court cases against the US for its drone program in Pakistan. Khan has been battling for the last four years to get his case heard and has been provided assistance by the Foundation for Fundamental Rights. Earlier this year, prior to a trip to Europe to speak with British, German and Dutch parliamentarians about his ordeal, Khan was kidnapped. He was released four days later, amid suspicions that Pakistani intelligence agencies orchestrated the kidnapping. Washington’s drone program has been a significant bone of contention in US-Pakistani relations over the past few years. However, the program is going through a drawdown at present because of diplomatic sensibilities and the changing situation in Pakistan. US officials say they have eliminated most of Al-Qaeda’s more important leaders and the ones remaining are more difficult to target, unnamed officials told The Associated Press. Over 2,000 people have been killed so far in the targeted killing in Pakistan since they began in 2008, according to statistics by AFP. Critics of the program believe it causes far too many civilian casualties, while the Obama administration argues the strikes are an effective way of eliminating wanted terrorists. This entry was posted in Jafria and tagged CIA Pakistan station chief, cia station chief, Drone Attacks, Jonathan Banks, Judge Shaukat Aziz Siddiqui, Kareem Khan, pakistan, Pakistan High Court, Pakistani High Court. Bookmark the permalink.